Box Text: Fly the Greatest Aircraft You Never Knew Existed! • Engage in 18 high-stakes missions where you’ll bomb bridges, steal secret weapons, and more. 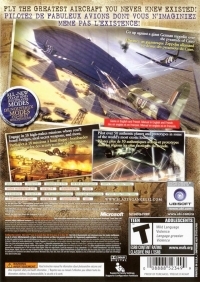 • Go up against a giant German zeppelin over the pyramids if Cairo. • Pilot over 50 authentic planes and prototypes in some of the world’s most exotic locations. This is a list of VGCollect users who have Blazing Angels 2: Secret Missions of WWII [CA] in their Collection. This is a list of VGCollect users who have Blazing Angels 2: Secret Missions of WWII [CA] in their Sell List. 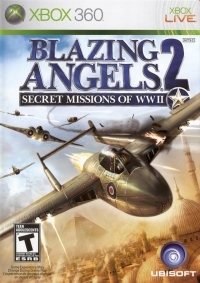 This is a list of VGCollect users who have Blazing Angels 2: Secret Missions of WWII [CA] in their Wish List.